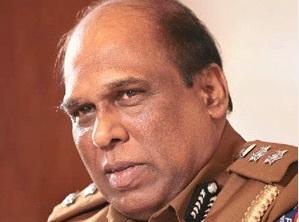 Colombo Additional Magistrate Nishantha Peiris today ordered for a comprehensive medical report from the Colombo National Hospital Director and Superintendent of Prisons over the decision taken to admit ex-DIG Anura Senanayake to the national hospital for medical treatment. The Magistrate made the order following a complaint lodged today by the prosecution when the murder case of ruggerite Wasim Thajudeen was taken up. The Magistrate inquired as to why Senanayake, who is in remand custody for concealing evidence in the murder was not treated at the prison hospital and was instead admitted to a paying ward of the National Hospital. 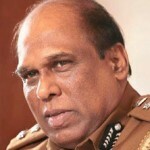 Senanyake and Narahenpita ex-Crimes OIC Sumith Perera were ordered to be further remanded till August 24. Actually govt in power can make all these use to attack Rajakashes. Why they dont do so is the question. There we have to point fingers at the press men – press mafia which still control the press abusing the freedom given to them by current govt. Instead of outreaching the masses with facts but facts, the press men seem to work for the agendas of former govt. May be the earnings are the priority for them, regardless of the gravity of the sitaution that the people have been taken to. They the grass eating majority folks feel, it is the political revenge. Why the state media dont publish more about the current situation has made them bad guys for the moment. May be they feel it is the freedom given to the journalists.. but over 80% abuse it. Chapa bandara the most abusive sort of person- who would always see that west is waiting to invade the country as if we have gold springs similar ot that of Zimbabawe keeps dancing the tunes of Rajakashes being against to the current moves of the UNP and UPFA politics. If we had dozens of the kind of Journalists- no need any other messes but that can be sufficient to send the nation backwards in the speed of light velocity. This country is made sick by wrong information. These men the kind of above mentioned should be the real cause – why we are what we are to this date. This is Maradana Choppe taking revenge for the number of extensions given to Anura Senanayaka during MR’s time. These trials will not go anywhere. There are no substance behind this case. Sad part is when the next Government comes in the roles will be reversed again. if the kind of men are patriots- what namings should be put to Prabakaran ? You guys are the wild weeds of lanken nation. So long you idiots are there, nothign can work to the betterment of the lankens. Curse for lanken nation. What are you patriotic towards? Why do you call yourself that? If this government fails to hold the Rajapaksas family accountable for all their crimes and allow then to get off scot-free and send our nation sliding down the path like Afganistan, Iraq or Libya where we end up getting bombed I think we would deserve it if we fail to use this golden opertunity to set our nation on the right path without wasting anymore time. So stop protecting these criminals. This must end now. I cannot agree with you more. This as you say is a golden opportunity to set the country on the right path for once and for all. The punishment meted out to this lot of rogues should be a lesson and a warning to anyone in the present Government who has the urge to do the same. As it is SBD modaya is making all the sympathetic noises in favour of Basil R, as he too seems to have a few skeletons rattling in his own cupboard. I hope Sirisena does not take the attitude of sweeping the mess under the carpet. He will then live to regret. I think there will be no other alternative for govt to go for next. Alone the bugger et al to permit make trips in Korea, Japan, Thailand and Uganda are greater mistakes. If this was the case in Germany for their previous men that abused the state, they woudl have traced them as no others. That is how they work on their men. I beleive the current govt will learn it sooner than later that they have to be more strict with the alleged men that have grabed unbearable sums damaging the state treasary taking the country to the this level. Red herrings were the roads and so called development projects. Poor men that have never seen high ways thought they were wonders of Magical Rajanos. Last few weeks having visited the country, I felt, my gosh how low level knowneldege the average people bear on the issues of the nation. They had been kept away from facts by Rajakahe press men. Many among the teachers are fed with Punnaku so that they feel Rajakaashes were better – and they did all good to the nation. Teachers in general dont see it right as to why entire Rajakashes family is now being called for investigations. They simply attack the current rulers it is just taking the revenge on them…. no matter anythign and everything may have done by Namal baby, they still love him… no matter Namal baby is reported to have abused girls .. one behind the other fo rtheir fun taking … they the rural folks worship him as a the next prince prodcued by Meeharaka by abusing entire nation. Silva, I have been seaching for NAative Vedda..
What happened to him ? Please let me know where he has been. How many times does this need to happen before one of the idiots in charge stop the prison doctor from recommending transfers of wealthy prisoners to the merchants ward of the GH. This scoundrel of a doctor is minting money while engaging in this practice while the buffoon politicians pretend not to know anything. Sack the bugger NOW. Same Doctors who commanded Basil Rajapaksha that he should take treatment from Merchant ward until he get the Bail also recommanded Anura Senanayaka to take treatment from Merchant ward until he get the bail. All the expenses from Rajapaksha family. Hats off to the Magistrate who has a strong backbone. If the good governance Government fail to punish the wrong doers, let them be anybody, our nation will fail. If the Government favours the rich and punish the poor, once again the Nation is destroying itself. This will be the mockery of Justice. The Deals have to stop. Political survival should not compel to enter into deals. You scratch my back and I scratch your back. Enough is Enough, heed to the people of this nation. Respect the democratic rights of the masses of this country. The present Government Leaders have to pay a heavy price if they fail in their duties when in power. he is sick all right.Sick of life.let the bugger RIP.Give him some rehabilitation injections like what the LTTE got and he will be running fast back to the remand cell. Poor people and those who have no influence never end up in paying wards when charged with non-bailable crimes. Thus, society is divided into two categories – due to doctors who flout the Hippocratic Oath.